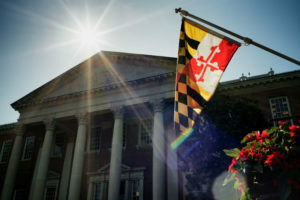 Today marks the start of the 439th Session of the Maryland General Assembly, and Preservation Maryland is poised to continue to be the voice of historic preservation in Annapolis. We have a full slate of priorities in support of historic tax credits, community revitalization, preservation funding, and smart growth. 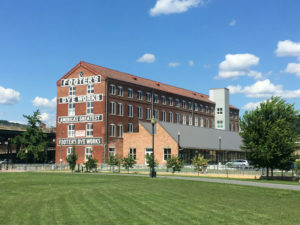 On Monday, January 7, 2019, The Baltimore Sun published an Op-Ed by Preservation Maryland Executive Director, Nicholas A. Redding, calling for stronger support for the state Historic Tax Credit. After months of nationwide advocacy focused on saving the Federal Historic Tax Credit, preservationists learned late Friday, December 15, 2017 that the federal historic tax credit was retained in the final iteration of the new tax bill. President Trump signed the Tax Cuts and Jobs Act on December 22, 2017. Over December 18 through 20, 2017 the House and Senate pass, exchange, reconcile and then adopt identical tax reform legislation that retains the federal historic preservation tax credit program with modifications. On Friday, December 15, 2017, conference committee moved to retain the Historic Tax Credit while making several changes to the program. The Senate tax bill passed on December 2, 2017. On Wednesday, November 29, 2017 the Senate voted to begin debate on its tax bill. On Tuesday, November 28, 2017, the Senate Budget Committee advanced the chamber’s GOP tax bill. On November 16, 2017, Senator Ben Cardin (D-MD) introduced his own amendment to to restore the historic tax credit among others, and used materials and photos provided by Preservation Maryland to make his case before the committee. On Thursday, November 16, 2017, the House passed their tax reform bill on a 227-205 vote. The bill received no support from Democrats and 13 Republicans voted against. The House bill which passed included a full repeal of the historic tax credit despite the efforts of Rep. David McKinley (R-WV) and Rep. Rod Blum (R-IA) with many other federal legislators. On Thursday, November 9, 2017, the Senate released their tax reform bill. Their plan would retain the federal historic tax credit but reduce it to 10% from the current 20% effectively decimating the effectiveness of the program. In response to the Senate bill, Senator Bill Cassidy (R-LA) introduced an amendment which passed that would retain the credit in its entirety, but shift it to a credit that is distributed over a 5 year period instead of the current one-time payment. Generating thousands of calls and emails to congressional offices in support of the program via our online advocacy platforms. All of our advocacy activity came at a big cost — and our Advocacy Action Fund has been tapped to make this extraordinary effort possible. Supporters of this work are encouraged to make a donation today. We just wrapped a national Telephone Town Hall to discussing the latest developments in tax reform and how they affect the federal historic tax credit program. If you missed it, you can listen to the recording on YouTube.